Maybe there is a way! We believe that you can be just about anything that you want to be through the power of costume, even Reptar. So, practice your roar. Get working on your fire-breath (we recommend eating some really spicy salsa). You can even hone your singing skills to perform Reptar on ice. 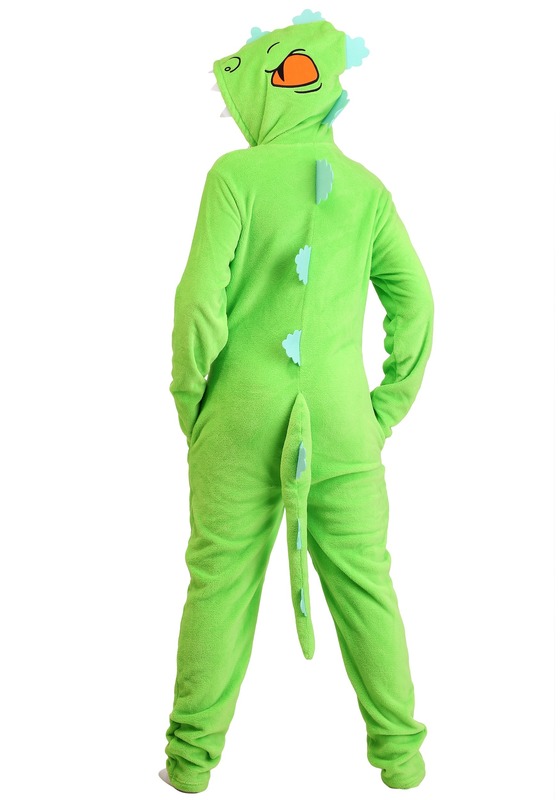 You just need this comfy Reptar union suit! This Rugrats Reptar union suit is an officially licensed item from Nickelodeon. It’s made out of a soft, neon green fleece material and features a zipper in the front for easy fitting. It’s so cozy, you could even take a nap in it! The back of the suit has attached “spikes” all the way down to the plush tail. A pair of pockets in front let you carry any important items a dinosaur might need during a rampage (like a smartphone or wallet). The final, and most exciting, feature of this costume suit is the hood. The hood has embroidered dinosaur features, like his eyes and nose, on it. Just flip the hood up and you instantly transform into the character from the Rugrats cartoon series. 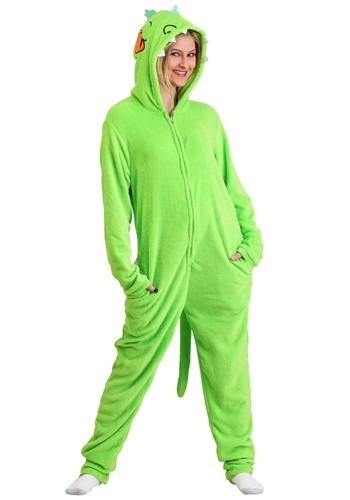 If you’ve always wanted to become a dinosaur or if you’ve always wanted to perform your own rendition of Reptar on Ice, then this officially licensed Rugrats union suit is for you.